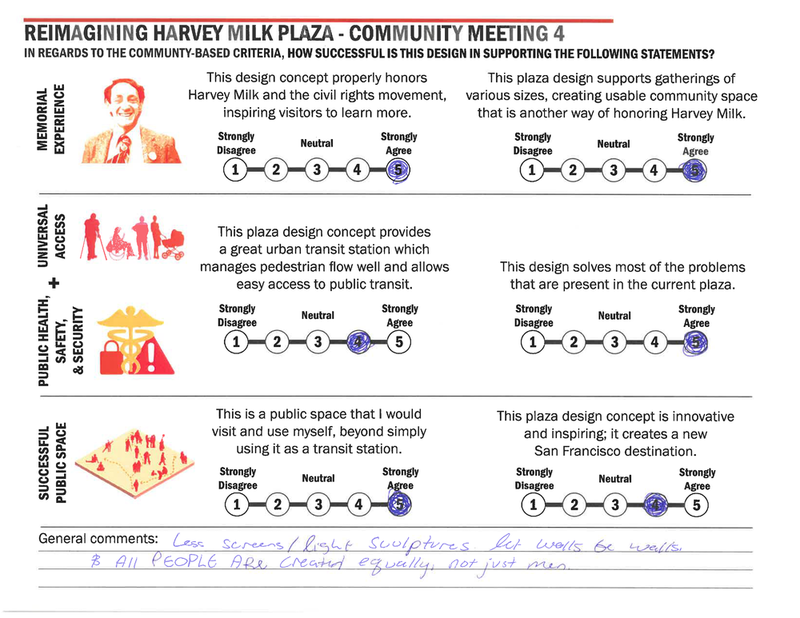 On Tuesday, May 15, 2018, Friends of Harvey Milk Plaza hosted the fourth and final in a series of Community Meetings which began in January 2018. 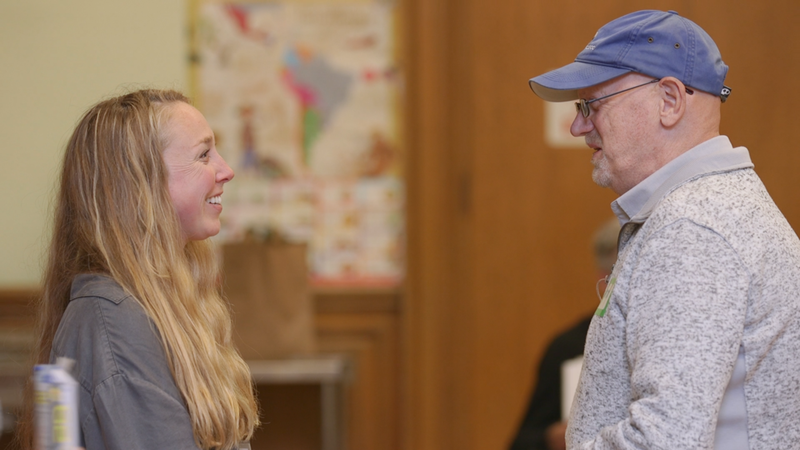 The content presented in this meeting included a recap of the third Community Meeting and feedback collected at the third Community Meeting and the feedback received from online platform, Neighborland. 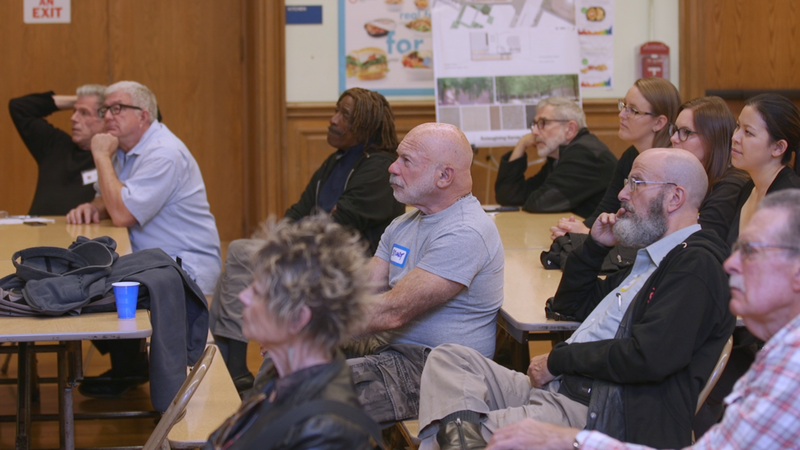 Following a short presentation of the evolved design being presented at this meeting was an Open House where FHMP, Perkins Eastman and SFMTA were available to answer questions and collect additional feedback on this revised design. From May 16-31, 2018, we collected feedback online on this evolved design scheme. Thank you for participating. Following the short presentation, the participants were invited to explore the poster boards arranged around the auditorium. 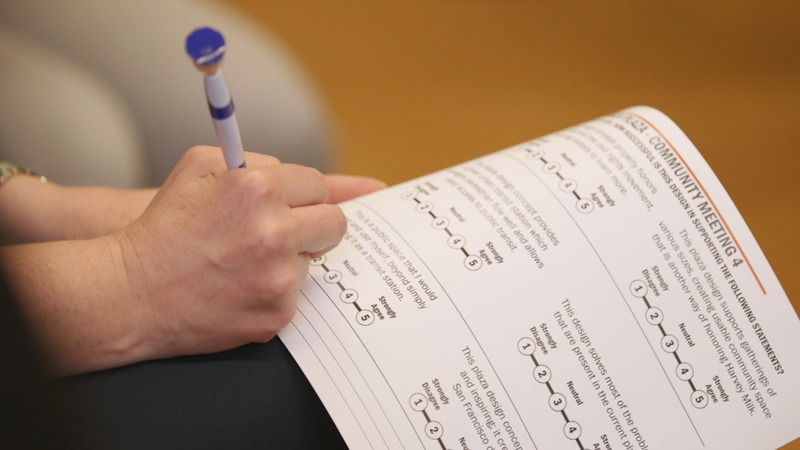 Each participant could submit their feedback on an prepared comment card. 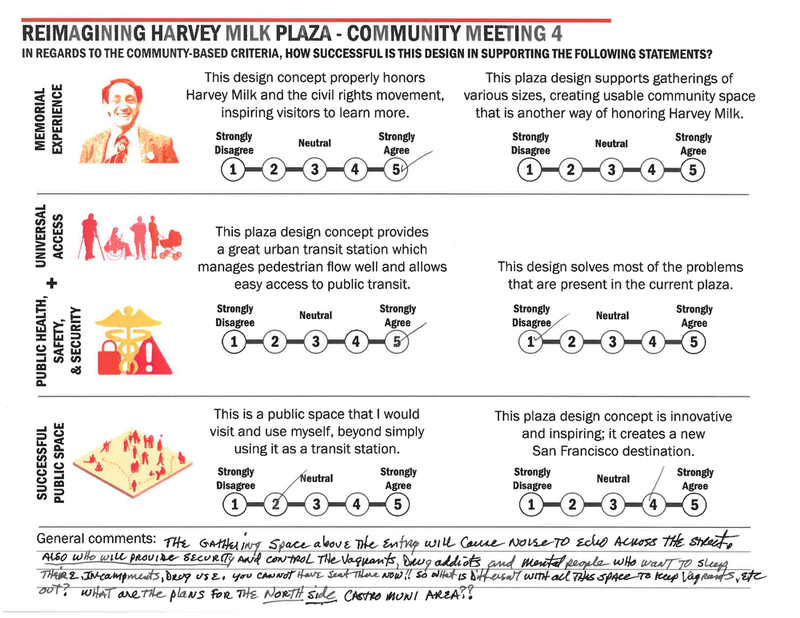 This singular design incorporated the most popular elements of the four design schemes presented in Community Meeting #3 on April 7, 2018. The goal of the activity was to evaluate the design in achieving the four community established criteria: Memorial Experience, Universal Access, Public Health/Safety/Security and Successful Public Space. From this process, Perkins Eastman will incorporate this feedback into this concept design before bringing this design to city agency review. 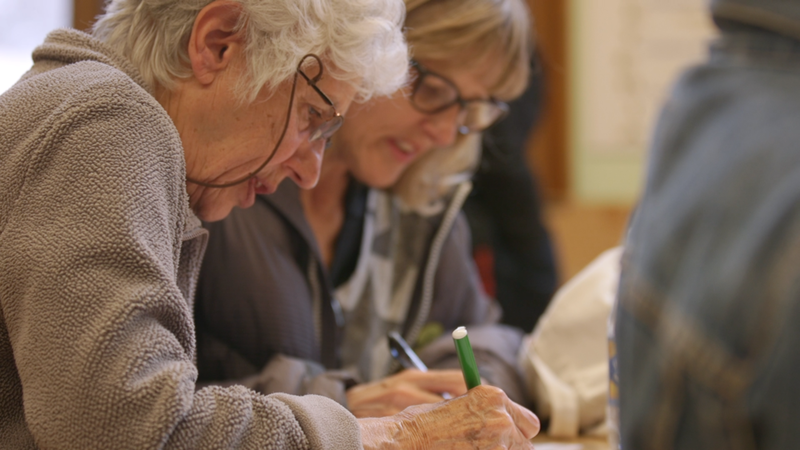 Participants were invited to fill out individual comment cards. The input contributed will help guide the architects from Perkins Eastman incorporate feedback into this design and schematics. "I don’t think its your job to solve the poop problem. I appreciate you tolerating everyone expecting you to fix city-wide systemic issues. I like the edcuational components. That doesn’t exist today. So ADA friendly. What ... women/they/them aren't created equal too?" "Less screens/ light sculptures. Let walls be walls & all people are created equally, not just men." "I like the platform / Ramp situation. All people are created equal, not just men"
"How the dead end memorial area on the station level seems like it might block traffic flow. I'm also a bit concerned about water drainage with a significantly sloped area. Other than that, this concept is by far my favorite yet. Keep editing and it'll be perfect." "I really like this current concept. The overall is fantastic! I look forward to see it evolve through the city departments review." "The "Hope/ Quiet" space might have noise challenges. Candle lights in the paving should be rainbow." "Conflict between slow moving observerse [of the memorial] and commuters running to connect with bus"
2. Balcony above Muni entrance will be homless encampment overnight. 4. Homless already occupy the notches by the wavy wall on the south side of Market. This design has provided many more confortable, isolated and roofed habitat for homeless. 5. Only thing yo ugo right is the elevator. *If you believe homelessness is a city wide problem then solve THAT problem first priopr to redesigned the station!! "Patrolling will be key [with regard to public health and safety]. Good luck with the $ raising!" "We didn't ask for this! Save our existing station." "I basically think a new design is unneccessary. The present design is attractive and works well, in my opinion. Why spend lots of money to replace it?" 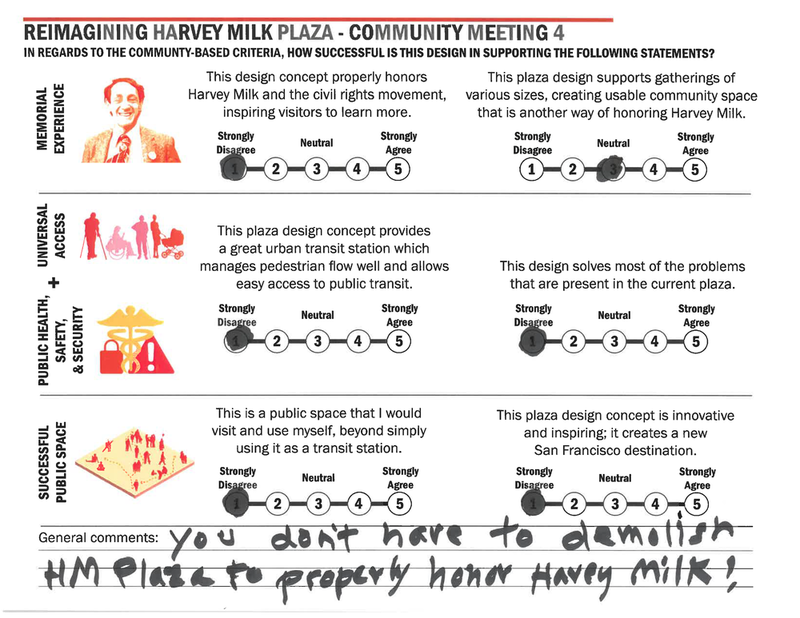 "You don’t have to demolish HM plaza to properly honor Harvey Milk!" "Please consider the history and problems associated with people gathering there and nuisance to the residents next door. No public gathering next to 2425 walls - people live there." "This is really unneccessary. Please make it accessible but don’t do this massive redesign. "The gathering space above the entry will cause noise to echo across the street. Also who will provide security and control the vagrants, drug addicts and mental people who want to sleep there? Ecampments, drug use. You cannot have seat there now! So what is different will all this space to keep vagrants, etc out? 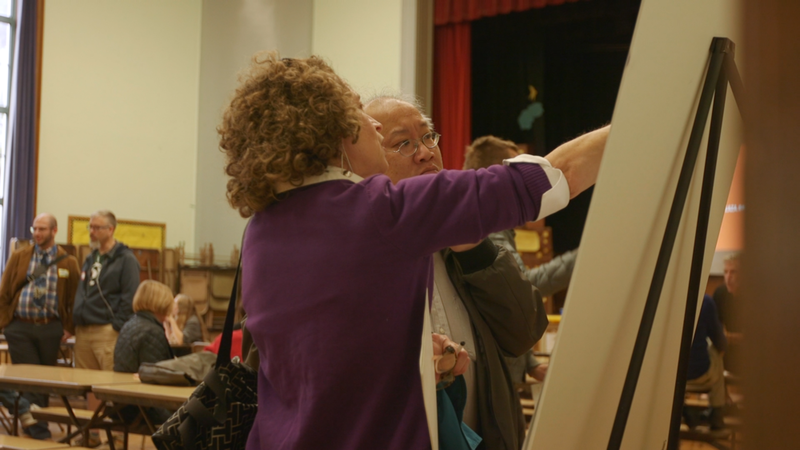 What are the plans for the north side Castro Muni area?" "Don’t want people lingering at all hours. It’s a resident too - don’t forget that. We freakin' live here!" "Entrance feels like entering a bomb shelter - not welcoming. Overhang could use lighter/ transparent materials. 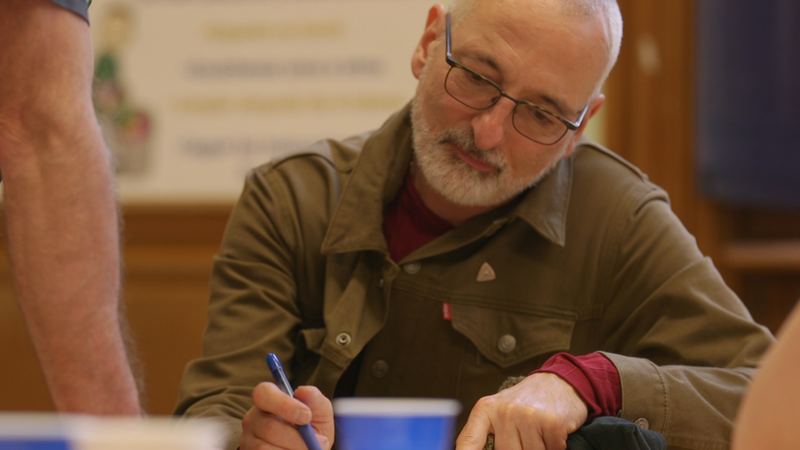 Awareness of homeless upstairs is critical. We don’t' want to encourage sleeping and bathroom. Keep outside space open." "The candle light vigil could look a little more organic - bricks could be more randomly placed." 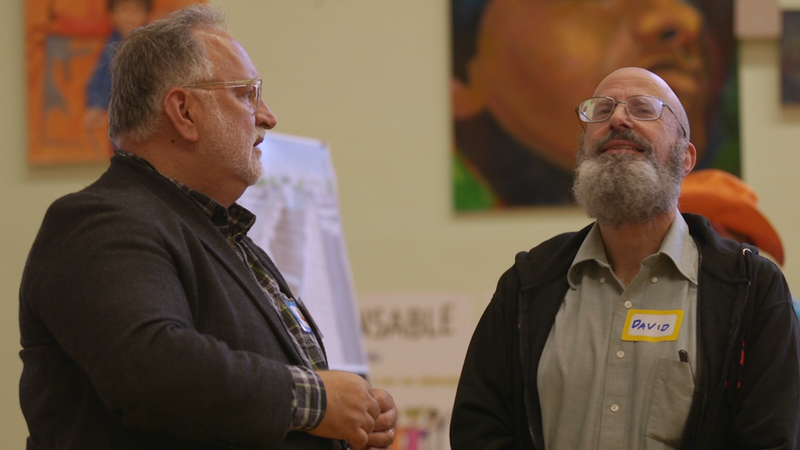 "Concerned with the current problems"
"As a local resident, I cant see why I would spend time in this space. It is north-facing, next to a busy major road, expossed to the prevailing afternoon westerly winds, lacking in amenities such as a café, shop or rotating art exhibitions." "Reconsider plane trees for grove. Don't seem to do well in Upper Market area [wind]. What is visible from upper level? More than Chevron? Consider tourist info booth with location info map, etc." "I think pulling the entry back is very successful. Can the elevator core be opened up? It feels very monolithic." 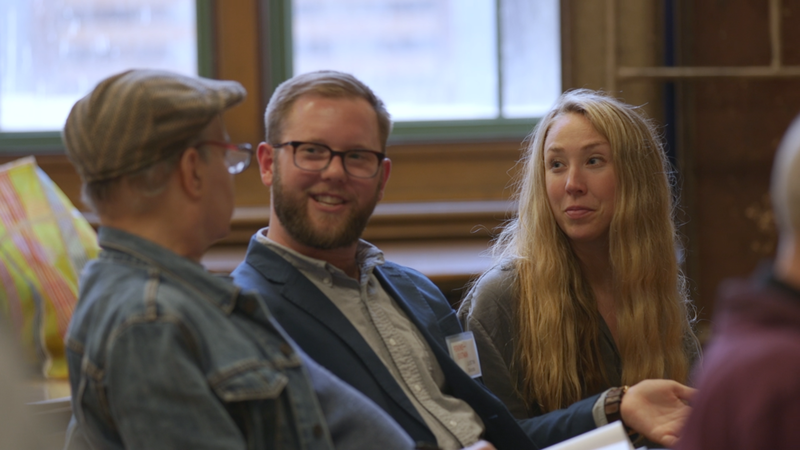 "I think it is exciting and inspiring!" "I miss the scuptural beauty of the vertical candlelights from previous designs. The embedded lights seem like a maintenance issue. The material for the canopy exterior facing Castro Streets seems heavy and dark. Earlier versions seemed more open, warm and light. Signage for the station and plaza seems too subtle. Would like the plaza name more prominanet, perhaps on (->cont'd on reverse side) canopy which seems like underutilized space." "Canopy, which seems like underutilized space. "Not sure about the WOW factor!" 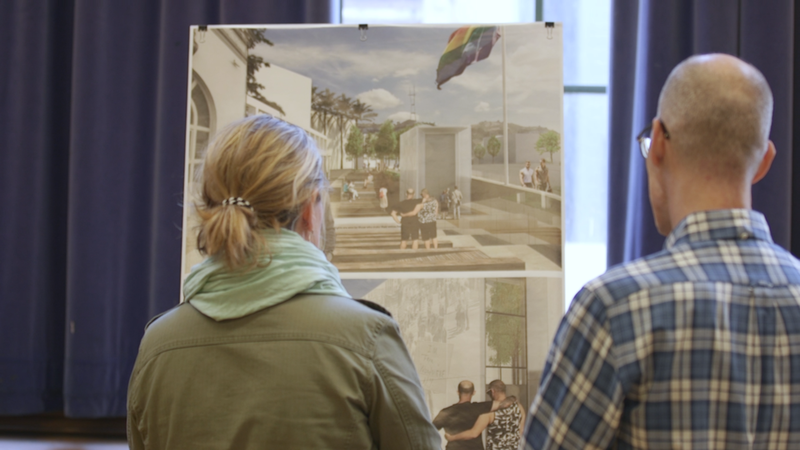 "As an SF City guide of the Castro, I have given tours of the Castro for years, this design fulfills most of the community needs, desires. Please add CASTRO signage at the overlook. Thanks- BMC"
The feedback provided regarding this concept design will contribute to the design evolution. City agency reviews will further evolve the design. Join our newsletter mailing list to STAY INFORMED of ongoing development! Thank you for your participation and engagement in this community led participatory process. Together we will #HonorHarveyMilk!